If you haven’t heard “The Long and Winding Road” from the Let it Be… Naked release you should. It is as it was intended by Sir Paul. Perhaps Phil Spector should have heeded the advice given to him in the album’s title. 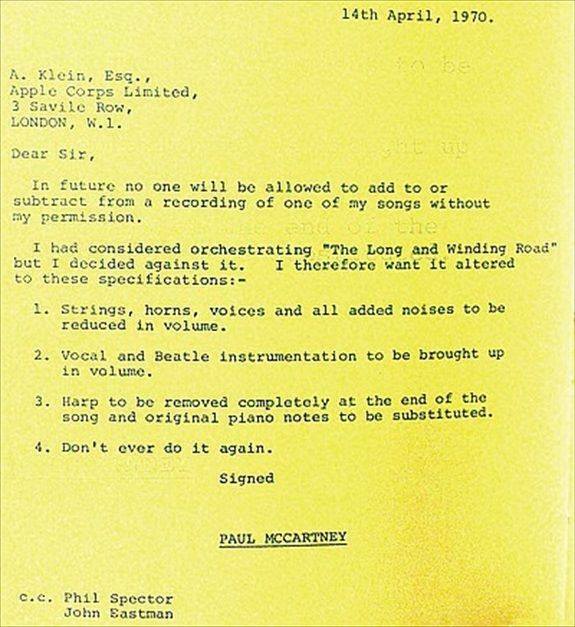 The unheeded demand and the release of the altered arrangement on the original album release was cited as one of the reasons for Paul’s request for the legal dissolution of the band.